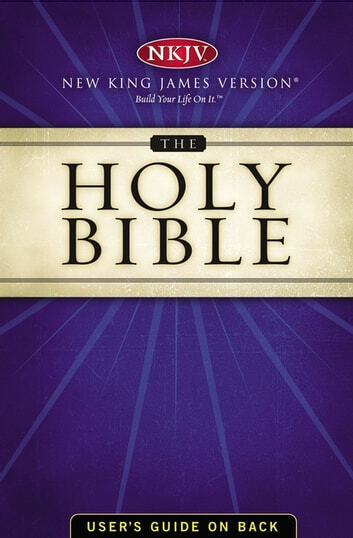 Commissioned in 1975 by Thomas Nelson Publishers, 130 respected Bible scholars, church leaders, and lay Christians worked for seven years to create a completely modern edition of the King James Version that would continue the classic tradition of the original King James. With unyielding faithfulness to the original Greek, Hebrew, and Aramaic texts, the translators applied the most recent research in archaeology, linguistics, and textual studies. 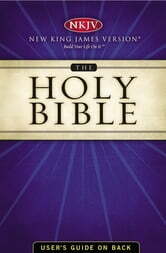 The resulting work provides today's Bible reader with an accurate and modern translation of the Scriptures with the stylistic beauty and memorable quality of the King James. Are Miraculous Gifts for Today? Is Hell for Real or Does Everyone Go To Heaven? This is probably the best book in the world!!! I loved it. It's for children and adults to enjoy. Suitable for 6 and over. It is for those who believe in the true God! The Bible is the most important book in the world. This is just one way to get the Book. The Bible as an erreader is good so then I will have it mostly anywhere I go.